Water Filter Mag: All You Need to Know About Water Filters! Water Filter Mag: All You Need to Know About Water Filtration! 1 Why Do We Need Water Filters? 2 What Is A Water Filter Made Of? 7.1 Do Water Filters Remove Valuable Minerals? We all know water is essential for life. People who work in hot climates need to drink up to 16 liters of water a day to control their body temperature and keep hydrated. But did you know that 95% of Americans drink only 1 liter of water per day, even though they should be drinking at least 2 or 3? Most of us would drink more water, but carrying a plastic bottle everywhere with you might not be an option, and drinking tap water might sometimes be considered dangerous. In the following article, we explain the benefits of using a water filter. Many people already use filters for their homes, but are you sure you’re using the right one? Read our comprehensive buying guide to find out the different technologies used for filtering water, and how to choose the best water filter for your home. So, your home is tapped into the municipal water feed. You know the water goes to a purification station at the edge of town. You drive by this facility each day on your way to work. You see it’s working, so that means your tap water is clean, right? Wrong. Well, not exactly wrong, but not right either. It’s true that tap water usually is filtered in a water purification facility before it reaches the end user (that’s you, by the way), but that doesn’t mean it’s very clean. This is true for every city, no matter how large or small. When the authorities test the water quality, they test it right after the water is filtered, before it goes in the municipal feed lines. The results they obtain are often satisfying, well above the required standard. What the authorities don’t account for, however, is the age of the feed lines, and their length. Water treatment stations are usually placed at the edge of a city or town, and the water has to travel a long way through the municipal pipes before reaching the end consumer. It’s not rare for the pipes to be decades old, and by traveling a long time through them, the filtered water becomes polluted with everything it encounters, from rust to dust and debris. These old pipes are also a good way of distributing microorganisms, bacteria, and viruses. The water reaching your faucet might a have bad color or a bad taste, and it might have a high degree of biological contamination. Another reason why you should use a water filter is the way your municipal authorities are treating the water. One of the oldest but most frequent ways of treating the water is by chlorinating it. This does indeed kill some of the microorganisms present in the water, but it also changes the water’s taste. But that’s not all. Recent studies have shown that sometimes chlorine can interact with some of the organic matters in the water forming dangerous carcinogenic compounds. Did you think that was all? Unfortunately, it’s not. Filtering the water is essential if you want to keep harmful parasites, bacteria, and other microorganisms from your drinking water. When talking about contaminated water, one of the worst parasites you can get is Cryptosporidium. This parasite is resistant to chlorine, and it has to be filtered out by mechanical means. If the parasite enters your drinking water it can lead to severe diarrhea, dehydration, and weight loss. Infested people can present sickness signs for up to six weeks. Last but not least, your water source can be contaminated with pesticides, chemicals, and heavy metals. Pesticides used before the 1940s and 1950s usually contained heavy metals which have a long halving time. This long halving period means they might still be present in the soil around the water pipes, enabling them to leak in the water. Lead was also used for plumbing, so old pipes or the solder used for joining them might still contain some. Other chemicals present in the water may also be harmful, and a water filter will remove them. This is the most popular household water filter. Its popularity is so high mainly because it’s cheap, small, and easy to use. This kind of filters uses activated carbon granules which are based on charcoal to block the contaminants. The charcoal is not very dense, it actually has a porous structure filled with ridges which will attract and trap chemicals through adsorption. Adsorption is a process where gasses and liquids are trapped by other liquids or solids. Ever since we are kids we’re taught that boiling the water will make it cleaner. Distillation is a more advanced way of boiling the water. Instead of just boiling it, it will actually capture the released steam and condense it in a separate container. These filters are made out of a lot of zeolite beads. These beads contain sodium ions. When the hard water passes through the filter, it contains magnesium and calcium. The ions in the zeolite beads like the magnesium and the calcium better than the sodium, so they will trap these ions and release their own sodium. These filtration systems usually have more than one filter. Actually, most RO systems have 3 pre-membrane filters, a semi-permeable membrane, and a post-membrane filter. Some of them will have additional filters, depending on the model. The most important filter is the semi-permeable membrane, also called the reverse osmosis membrane. This filter blocks out the contaminants based on their size and molecular weight, so only very small compounds will pass. Each water filter we presented in the previous section works in a specific way. Here is a list of how these popular filtration systems work. These filters work through adsorption. This is a process where gasses and liquids are attracted to other liquids or solids. When the water passes through the carbon filter, most of the common impurities will be attracted to the carbon’s spongy surface, filling the deep ridges on its surface. While the charcoal filter is great at removing most contaminants, one of its disadvantages is that it can’t block limescale. Other contaminants are also not attracted by the charcoal, so nitrates, fluoride, sodium, and microbes will continue to flow in the water. Another disadvantage is that in time the ridges in the charcoal will clog up, so the filter won’t be able to capture any more contaminants. That’s why you have to change the filter periodically. These filters work by boiling the water and capturing the steam produced. When the steam cools, it condenses back to water which is collected in a container. Water boils at a lower temperature than most common contaminants, so they will remain in the original container as the steam rises. Unfortunately, other contaminants will actually boil before the water, so the condensed steam will also carry them in the second container. The zeolite beads in the ion exchange filters are full of sodium ions. When hard water passes through the beads the ions are attracted to the magnesium and calcium components in the water, releasing the sodium in exchange. Magnesium and calcium are major components in limescale, so without them, the water will be softer and have a better taste. However, the sodium released will be present in the water, and it will make it salty. Some people might not like the new taste, while others might not be allowed to drink it because they’re on a strict diet. This filtration system uses at least 5 filters, sometimes even more. The first filter blocks out the rust, dust, debris, and other contaminants that might harm the RO membrane. The second filter is usually the carbon filter, and it blocks harmful chemicals like chlorine, fluoride, and more. The third filter is also a carbon one, but it’s denser so it will capture smaller particles, making sure the water is almost contaminant free as it reaches the membrane. The fourth filter is the reverse membrane and it will block the contaminants based on their size, molecular weight, and ionic charge. 95 – 99% of the contaminants in the water will be blocked. The fifth filter makes sure that bacteria, viruses, what’s left of the chlorine and any bad tastes or smells are removed. Some models will also have an UV light and special filters that will raise the water’s pH. As you can see, there are several options when it comes to water filters. 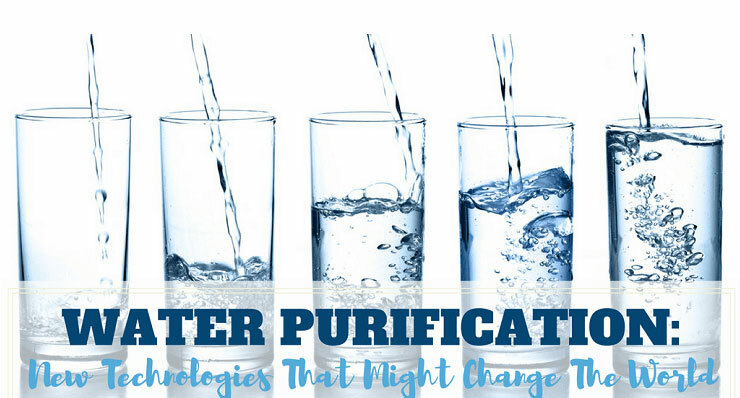 Each of them can remove the contaminants in your water, but most are good at removing a certain category of contaminants while they’re not very good or sometimes even inefficient at removing others. Check The Water’s Quality – If you want to find out what’s the best water filter for your home, you should first test the water’s quality. Here’s a quick guide on how to do it. When we say water quality, we actually refer to the concentration of contaminants in the water. These contaminants include but are not limited to chlorine, hardness, bacteria, viruses, pesticides, nitrates/nitrites, and heavy metals. The water’s quality is also influenced by its pH, so you should find it out as well. Chlorine helps with disinfecting the water, but it changes its taste. Hard water can lead to scale buildup, pesticides and nitrites/nitrates are dangerous for your health, and are very harmful to children. Acidic water has a bad taste and it can also speed up the pipes and fixtures’ corrosion. There are a lot of test kits available on the market these days, and you will be able to find some at your local retailer or online. These test kits contain test strips that will change their color based on the water’s contaminant content. You should only buy test kits that contain separate strips for chlorine, hardness, bacteria, pesticides, nitrates/nitrites, heavy metals (or lead), and pH. Avoid test kits with a single strip, as that will only determine the water’s pH level. Every test kit comes with directions, and these will vary according to the kit. The directions will explain how long you should expose the strips to water before reading them, how warm the water should be, and how to interpret the colors. Once you’re familiar with the instructions, proceed with testing the water. Expose each test strip to the water and keep it submerged for the appropriate amount of time. Remove the strip from the water and shake any excess drops. Wait for the instructed amount of time before you compare the strips to the color chart. Compare the test strips to the color chart. Each strip will have multiple indicators, so make sure you compare the right ones to the chart. The colors will determine if the water’s concentration of a substance is acceptable or hazardous. If any of the results are at hazardous levels, make sure you perform the test again to eliminate the possibility of human error. You can learn a lot about the water’s quality just by using your senses. Even professional water engineers will smell, taste, and examine the water visually before reaching a verdict. However, this testing method is not as accurate as the test kit, but it can still give you valuable information. Smelling the water is very important, as separate smells can indicate a different contamination. If your water has a bleach smell, then the local water treatment facility must use chlorine to disinfect the water. The scent might dissipate if the water is exposed to air. If your water smells like rotten eggs, it means that bacteria have grown somewhere on the way to your faucet. You should fill a glass of water and take it to another part of the house. Wait a few minutes and then smell the glass again. If the water no longer has the sulfurous smell, it must have come from your drain. This means you should clean your drain. If both your hot and cold water smell like rotten eggs, and the water keeps it scent even in a different room, that means the contamination happens somewhere in the municipal pipes. If your water has an earthy or musty smell, it’s likely the result of an organic matter decomposition or decay. Just like with the rotten egg smell, you should fill a glass of water and take it in another room to make sure the smell isn’t coming from the drain. This smell is often bothersome, but harmless. The most important thing you should keep in mind when tasting the water is that you shouldn’t swallow it if it tastes foul. If the water has a metallic taste, it can either mean an excess level of minerals or a low pH level. If the water has a strong bleach taste, it means it was treated with chlorine. If it tastes salty, it could indicate the presence of sulfates or chlorine ions. These compounds can indicate an industrial or irrigation drainage. Fill a glass of water and hold it up to the light. Look for floating particles or cloudiness. Red, brown, or orange particles might be caused by the rust in your pipes or fixtures. Black particles might be caused by the hoses your water runs through. Chlorine can deteriorate the hoses over time, making them frail. General cloudiness or white and tan particles indicate a high hardness level. The hardness is usually determined by an excess of magnesium carbonate or calcium carbonate in your water.You should also use your sight to examine water’s color. Let the water run for a few minutes to allow the potential buildup in your fixtures to pass, and then fill a glass of water. Hold the glass to the light. If the water is brown or murky, or if it’s discolored, it is a sign of contamination. This contamination might be caused by rusty pipes, upstream pollution, or something else. You can also use your sight to determine if your pipes and fixtures are in good functioning order. If there is a large build-up of minerals or corrosion in your pipes, it may get into your water source, polluting it. If your pipes are above ground, you should first look for leaks. Look for areas with blue or white sediment as well. If you can’t look at your pipes, take a look into the toilet bowl. Check for rust or blue stains. White or blue stains, along with rust indicate a buildup that can lead to water pollution. Clean the pipes or change them if you need to. There is another way to check the quality of your water. You can contact your local municipality and ask them for a copy of their water quality report. They are required to test the water regularly, so they will have one. However, we do not recommend this method because it doesn’t take into account the water’s passage through the exactly the same pipes the water that reaches you comes through. Now that you have an idea of how contaminated your water source really is, you should think about what you’re going to do about it. Even though it might sound silly, you should not skip this step. Why do you need a water filter? You surely had something in mind when you started looking for a filtration system. What bothered you? Was it the water’s bad taste, or the limescale deposits on your faucets and appliances? After interpreting the water quality tests, do your original plans still stand, or did they change? Do you still only want to remove the water’s hardness, or do you only want to correct its taste? Read reviews of the do-it-yourself home water test kits here. As you’ve seen in the previous sections of our article, certain filtration systems are very good at removing some contaminants, and inefficient at removing others. Depending on the results of the water tests, what you want to achieve, and your available budget, you will have more or fewer options to choose from. Here is a list of the types of filters you can use in certain situations. You can use several filters if you have limescale deposits and you want to get rid of them. This can be achieved with either low budget filters or expensive ones. The ion exchange filter. The ion exchange filter will remove the magnesium and calcium in the water and exchange them for the sodium particles trapped in its beads. This will resolve your limescale problem, but it will also make your water slightly salty. However, these filters are usually cheap, they have a low maintenance cost, and they are efficient at softening your water. The electronic water softener. These small devices don’t even touch your water. They fit onto the water feed pipe and provide a salt-free way of softening your water. One of the advantages of using this kind of device is that it doesn’t alter the TDS, so you will still benefit from the good minerals in the water. High Budget Choice – The whole-house water filter system. Unlike the previous models, this system is large and powerful enough to remove the minerals hardening your water, producing enough soft water for your whole house. Not only will the treated water leave no limescale, but it will also make your skin and hair look better after you shower. Find the answers to your questions! Do water softener shower heads soften water? Several solutions are available if you want to remove the bad tastes or odors in your water. Depending on your budget, you can choose between the following systems. The activated carbon filter. This is one of the filtering methods our ancestors used, but it’s been refined and improved over the centuries. The activated carbon filters nowadays come in various sizes and have different capacities. 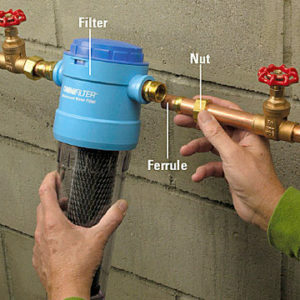 If your main concern is removing bad odors or tastes, this kind of filters is a good and cheap solution to your problem. Ozone water filters. These filters are capable of removing most of the contaminants in your water source, and they will also remove any bad smells and odors. Depending on the filter and the amount of ozone used, the water might get a slight ozone smell and taste. Reverse osmosis systems. These systems are some of the best all-around water filtering solutions available on the market. They use more filters to purify the water, the result being taste and smell-free water. If you noticed that your water’s bacteria levels are high after testing it, you should install a filter capable of killing them. There are several viable solutions, depending on your budget. The water distillation filters. These filters boil the water and then capture the condensed steam into another container. Most of the bacteria in the water will be destroyed as the water reaches high temperatures, so this is an efficient way of getting rid of them. The UV filters. These filters are specially designed to kill viruses and bacteria. They are usually small and easy to install, but they will need an electric source to work. 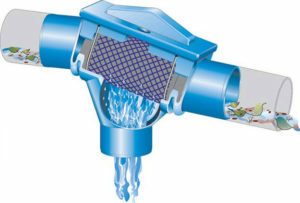 Using these filters will ensure that the bacteria levels will drop or even disappear, depending on your water source. Reverse osmosis filters complete with UV light. These filters first remove most of the contaminants using mechanical filters, then they use chemical filters, and after passing through a semi-permeable membrane, the water reaches an UV filter, as well. This is a thorough filtration process. The water produced using this process has a superior quality. These filters usually take up little space, and they won’t interfere with your regular activities. The following filters fit in this category: activated carbon filters, electronic water filters, ion exchange filters, and even some reverse osmosis systems. These filters will take up some storage space, and you should be aware of this before you buy them. You might need to move some things from one location to another just to clear enough space for them to fit. This are the filters which fit into this category: most of the reverse osmosis systems, some ion exchange filters, ozone filters, and some distillation filters that have a larger capacity. These filters will occupy a lot of space, so you will need to make room for them. Some of them are so large, you will actually have to install them in a shed or in a basement. These filters are whole-house water softeners, deionization units, and whole-house multi-layer filters. Now you have most of the information you need to make an informed decision. However, there are still some things you should be aware of before buying a water filter for your home or workplace. As it happens, most often people won’t have only one complaint about their water. This is why it’s very important to learn the basics of how water filters work, so you can fully comprehend if a certain system is the right solution for you, or if it’s not. Learn how to choose the best portable water filter here! OK, this might seem like the kind of title you usually find on a technical website, but trust us, we will only explain what you really need to know. Most of the times, water filter dealers will talk about some technical aspects even they barely comprehend. This won’t be the case. In this section, we will provide a brief description for each water filter, and review its pros and cons so you will be able to make an informed decision when buying a unit. This is one of the oldest filtration methods, and it has been used ever since the Ancient Egyptians. This filtration method relies on adsorption to work. Adsorption is a natural phenomenon where the molecules in the water are trapped in the porous structure of a carbon substrate. Carbon filters are used worldwide, and that’s because they’re efficient and inexpensive. Activated charcoal filters are effective at removing sediment, chlorine, and Volatile Organic Compounds (VOCs). They also remove any weird tastes and smells. These filters are not very effective at removing salts, minerals, and dissolved inorganic compounds. There are two types of carbon filters used for water filtering. The powdered block and the granulated activated filters. Usually, carbon block filters are more effective because they offer a larger adsorption surface. Many of them also have additional layers in between the carbon, for a better filtration. Some will have silver layers that will block bacteria and prevent bacteria growth. Some manufacturers go as far as impregnating the carbon with silver, giving it bacteriostatic properties. Granulated activated carbon (GAC) filters come in various sizes, depending on their application. They use finer granulated charcoal that has a smaller surface area than the carbon block but can produce a channeling effect. All carbon filters have some things in common. After a period of time, their efficiency drops, and you have to change them for optimal performance. You also have to change them if you don’t use them for a long time, such as after you return from a vacation. Bacterial colonies can grow inside the filter if you don’t use it for a long time, even if it’s treated or impregnated with silver. You should always respect the life expectancy the filter manufacturer offers and change the filters in due time. Even though you might not have heard about these filters, you definitely heard about deionization and water softening filters. These two are the most commonly used ion exchange methods, and we will talk about both of them together because they’re very similar. We’ve compared and picked for you the top rated water ionizers. Deionization filters use beads charged with hydrogen ions and hydroxyl ions, and change them for cations and anions, respectively. When metallic ions enter the filter, the hydrogen is released and replaces the metals which get trapped in the beads. Now the anions originally in the water are exchanged with the hydroxyl ions. The hydrogen and the hydroxyl combine and the end product is mineral-free water. In a similar way, the water softening systems work by exchanging the salt trapped in the beads with the magnesium and calcium ions. Salt is released while the minerals are trapped, making the water softer. Check out the top rated water softener reviews here! This is one of the simplest ways of filtering water. The water is boiled and the condensed steam is captured in a separate container. All the contaminants that remain in the original container are removed. Unfortunately, some contaminants boil before the water and are still present in the second tank. This method uses multiple filters to remove the contaminants. Usually, the first filter is a mechanical one, the second and third filters are made out of carbon, the fourth is the semi-permeable membrane, and the fifth is a chemical one. Additional steps may include a UV filter and a remineralization one. This is a very efficient filter for water sources with a high bacterial level. The filter will kill most of the common bacteria, viruses, and other microorganisms. Unfortunately, it won’t filter anything else. Now that you know how the main types of water filters work and what they’re good at, you should decide on how and where to install them. There are several options available. Under-sink Installation – An under sink water filter is one of the most popular options, for obvious reasons. Water filters are designed for efficiency, but not for aspect. Hiding them in a kitchen cabinet will keep them from prying eyes. On-counter Installation – This is a viable option for smaller water filters. You can install them directly on your counter. Even though they might not look great, sometimes having the filter in reach is helpful. Check out the top rated countertop water filters here! Faucet Mounted – Faucet water filters can be installed directly on the faucet. You just need to remove the faucet’s aerator and connect the faucet to the filter. Pitchers or Dispensers – One of the advantages of using this types of filters is that you can place them anywhere. OK, so you bought a water filter. What now? You need to take care of it, of course. But how do you do it? 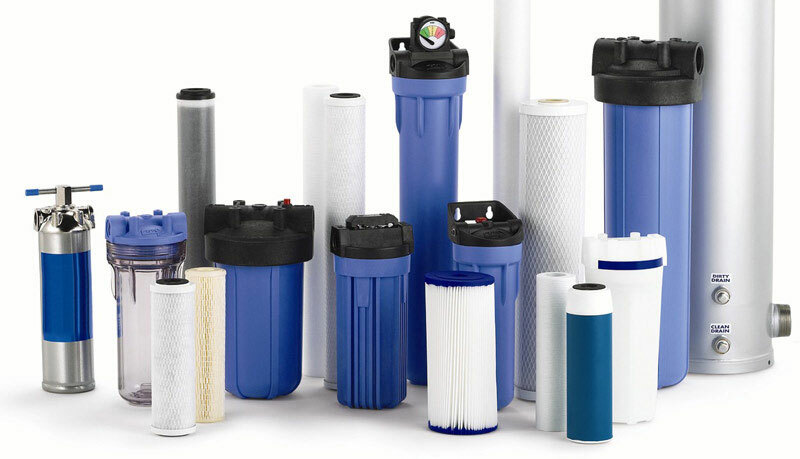 Changing the filters – No matter if you buy an activated carbon filter or a reverse osmosis system, if it uses filters, they will need to be changed at some point. Most manufacturers specify the filter’s life expectancy in the product’s description, but you will also be able to find the information in the instructions manual. Changing the beads – If you bought an ion exchange filter like a water softener or a deionization unit, the beads will need changing from time to time. The beads have a limited charge, so once the charge is spent, they become useless. Changing the bulb – If you have a simple UV filter, or an RO system using a UV filter, you will need to change the bulb from time to time. The filter might have some sort of notification to let you know the bulb is no longer working, or you can even see if it’s not working on some models. Find a replacement refrigerator water filter that fits your refrigerator! Better Taste And Smell – It doesn’t matter if your water comes from the well or the municipality, it can have a pretty bad taste. Most of the water filters we presented are capable of removing the bad tastes and smells. Healthier Water – Drinking and using filtered water for your cooking will improve your overall health. All the chemicals, bacteria and other contaminants will be removed from the water, so your body will cleanse itself in time. Environmentally Friendly – Filtering your water is more environmentally friendly than buying bottled water. Bottled water comes in plastic containers that might eventually end up polluting. No Plastic – Another problem with drinking bottled water is the plastic’s quality. Some bottles are made out of plastic containing BPA, a component that can lead to many health problems. Take a look at the filtered water bottle reviews and pick the one that meets your needs. Cheaper – Even though buying a water filter is a larger investment at first, you will actually save money in the long run. Good For Children – Children are especially susceptible to nitrate/nitrite poisoning. These compounds can leak into the municipal water source, and they might be present in a well also. No More Toxins – Some experts claim there are may be more than 2100 known toxins in a water source. Using filters will reduce the risk of ingesting them. No Chlorine – Chlorine has been widely used to disinfect the water, even though drinking it is linked to several illnesses. Better Looking Skin And Hair – Your hair and skin will look better and healthier after washing with softened water. No Chemicals – A lot of different chemicals like pesticides and heavy metals can be present in your drinking water. Using a water filter reduces the risk of ingesting them. A water purification system is able to remove 90 – 99% of the contaminants in the water. While this water is considered pure, the helpful minerals in the water will also be removed. Do Water Filters Remove Valuable Minerals? Not all water filters will remove the valuable minerals in the water, but some will. Reverse osmosis systems will remove up to 99% of the contaminants in the water, including the beneficial minerals. An UV filter will only kill bacteria, leaving other components in the water. Each filtration solution offers advantages and disadvantages. Check out our list of the water coolers and instant hot water dispensers available! Water filters have become a necessity in today’s society. No matter if you use a well or the municipal water feed, your drinking water could be better. Using water filters might seem expensive, but using them will actually save you money in the long run. You won’t have to buy bottled water any longer, and you will only have to change their filters once in a while. Most people consider water filters are only good if you’re using them for your drinking water, but that’s not true. Showering in filtered water will make your skin look healthier and more beautiful. Your hair will also look better, and it will look dirty after a longer time. Water filters are especially important if you have kids. Children are more susceptible to contracting a bacteria, virus, or suffering from nitrate/nitrite poisoning, and water filters will reduce those chances.